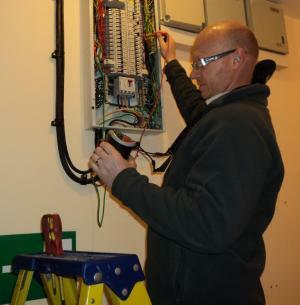 Electrical testing of fixed installations (fixed wire testing as it is often referred to). In January 2012 BS 7671:2008 was amended and the electrical periodic inspection report was replaced with the electrical installation condition report. The electrical installation condition report is a report on the electrical wiring of a property outlining any defects it may have that may prove to be a safety hazard. Our fully qualified electrical engineers inspect and test these services in accordance with the legal requirements of the Electricity at Work Regulations 1989 and BS7671:2008 (AMD NO1 2011). Elec Cert Ltd employ 17th edition qualiﬁed electricians who are experienced in carrying out electrical testing. All our engineers hold enhanced CRB disclosure certificates. We provide electrical testing work to the highest standard whilst providing the most competitive prices to our clients. We treat each client as an individual, therefore tailoring each testing program to the needs of each customer. When testing is being carried out there is a requirement for parts of the installation to be isolated for periods of time, therefore we offer out of hours testing when needed and will work with the client to perform necessary tasks during shutdown periods. We will provide your company or organisation with a comprehensive report that is easy to understand in a paper and PDF electronic format.